Hey folks, we’ve been working hard since the launch, and here are some updates we want to share with you. Some of your projects have lots of screens, so we added a really cool way to to better manage them. Tag screens to organize and filter them by features, flows, user roles and etc. Just hover over the design thumbnail and click on the checkmark button at the top right. You can manage tags in web app, Sympli Android Studio plugin and soon in Sketch and Xcode plugins too. Improve your teamwork! 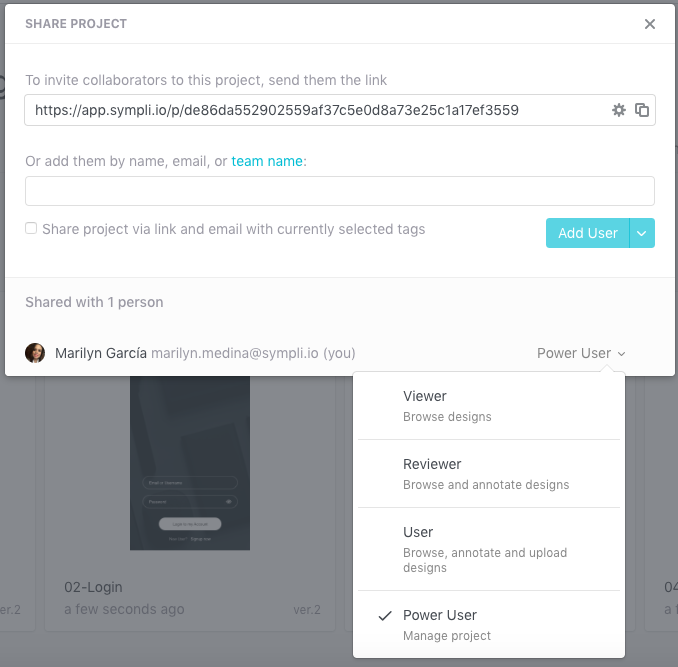 Turn your project teammates into Power Users, so they can manage project settings, and add and delete screens. We improved our support of Sketch 3.7, and now specs are fully available for symbols (even nested ones)! Additionally, Sympli Photoshop plugin now support specs for Smart Objects. Hope you liked the updates (let us know in the comments or via @sympli_io)! More new awesome features are coming soon, so stay tuned! You can always find the latest version of the plugins here. Don’t hesitate to contact us with any questions, feedback or feature requests you might have.